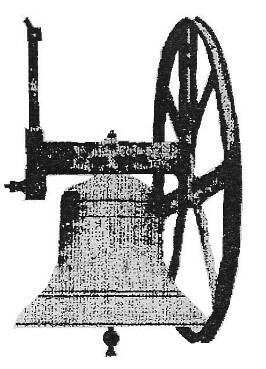 Bellringing has been around for centuries. Our Thakeham group is based in the beautiful surroundings of St Mary’s Church but there is no obligation to attend Church. The function of the bellringers is to call the faithful to Church, and ring, when asked, for weddings, and other occasions, such as Remembrance Sunday. Often some of our bellringers ring at Thakeham on a Sunday morning, and then quickly travel to another Church in the area if they do not have a full band of ringers available on that day. There is a National Society of bellringers, and this is split into divisions. 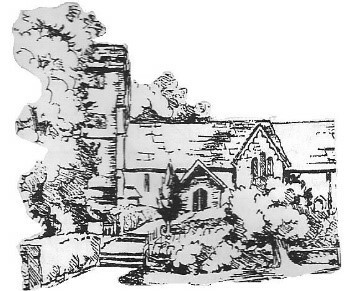 Thakeham is in the Western Division of the Sussex County Association of Change Ringers. Thakeham Bellringers are a group of 8. There are 6 bells in St. Mary’s church, and 8 or more members assures there is usually a full band of available ringers. We practice on a Wednesday evening from 7.30p.m. to 9.00 p.m. Visiting ringers from other groups are always welcome, just as we are welcome to their practice nights. For example – ringers from Washington, Amberley, Pulborough, Storrington, and Billingshurst are regular visitors to our Wednesday practice, and several of our members attend their practice nights. A hectic social life is also part of bellringing. Outings and coach trips to other churches happen 2 or 3 times a year. This usually involves ringing at 3 different churches in the morning, a good lunch, and then 2 or 3 more churches in the afternoon. Spouses, partners and non-ringers are welcome and can look around the towns and villages if they do not want to watch the ringing. We also join with other towers for a Christmas Dinner – usually in January and at the Crown in Cootham. We also welcome anyone who is interested in finding out about ringing, and to see the bells. To enquire about joining our group, or just find out more, see our Facebook page, contact Christine Hounslow (01798 815993 christinehounslow@hotmail.com) or Roger Watts (01798 813775 working.cap@btinternet.com).